This is my favorite story of my days playing WoW and I recently submitted it to DLC with the hopes it'll be read on the air. Figured I should post it here as well. When 5 of my college buddies and I decided to buy World of Warcraft and start a guild themed around the movie Point Break, safe to say we were ... impatient. We all got to level 10 or 20 or so and decided it was time for our Horde guild to take it to the Alliance. Keeping in mind we were on a PVP server, we somehow didn't die to any of the hundreds of level 30+ Alliance players between Orgrimmar and Stormwind and made our way to the dock - the dock for the Alliance. Still don't know how we all made our way here without dying. We snuck our way onto the Alliance ship that departs from the Alliance friendly dock and eventually lands in a neutral spot on the Horde side. We literally hid from the NPC guards until the ship departed and then, since we couldn't attack the Alliance players on the boat right away, we'd "befriend them" by dancing and doing other things. The Alliance players, while confused, would always end up dancing too and "hanging out" with us. Then, the loading screen would appear. And the Noobs Cruise began. 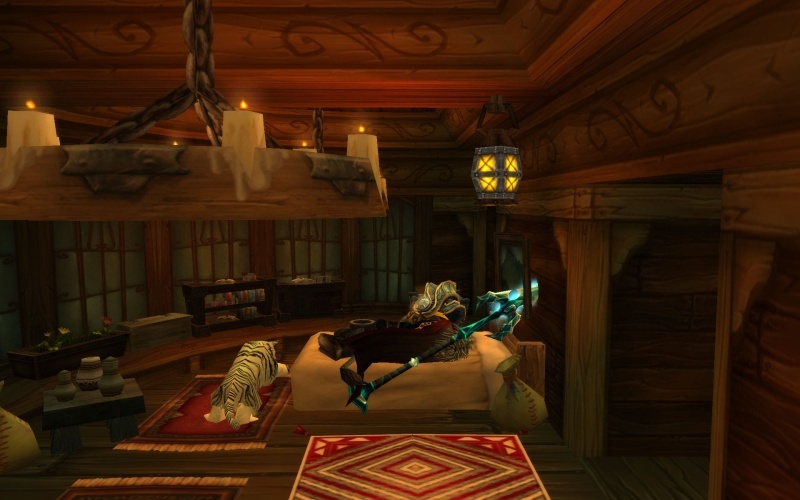 Me and the guildies (Johnny Utah, Angelo Pappas and the like) would take advantage of our PVP server and massacre our new Alliance friends on their own ship. For non WoW players, the loading screen represented the programmed transition from the Alliance friendly side of the game to a neutral PVP zone. That is, the transition from us not being allowed to attack Alliance players over to ... game on. We made 3 or 4 laps that night and massacred a dozen or so confused Alliance players who never knew they had set sail on ... the Noobs Cruise. Grommet napping in the cabin waiting for the cruise to begin.